Do you have a BAD HABIT that's causing you pain... ruining your health... hurting your loved ones... damaging your career... costing you money... or just plain old wasting your time? "What if you could stop bad habits that are making you miserable? And what if... "You could do it -- without the endless frustration and worry of failing you may have experienced when you tried to quit bad habits in the past... wouldn't you rather start... enjoying the freedom from these annoying habits... so you can be the person who is free of bad habits... and be the person you've always wanted to be?" This page can change your life. This 21 Day Habit Busting Program has been getting rave reviews from people just like you and from the media; these reviews have been from people who used this 21 day program and broke the chains their bad habits had locked them into! If you answered "Yes"....to ONE OR MORE of these...then it is urgent you read the rest of this page to get the help you need to break the HABITS THAT ARE CONTROLLING YOU! The 21 Day Habit Breaking Program is a holistic approach and offers you the latest, and most refined AND the most effective methods for treatment of these debilitating problem habits. ... What you'll find is using a proven SYSTEM that 'real people' -- just like you -- have used to break the cycle of deeply entrenched, lifelong habits -- forever. What have your bad habits cost you -- in money, health, career advancement, and relationships? Bad habits chip away at the life you COULD be living, right now. They stifle your potential to make the money you deserve... They hold you back from enjoying rewarding personal relationships... And they prevent you from looking and feeling GREAT! Can you even put a PRICE on the opportunities and potential your bad habits are holding you back from -- right now? Of course not! Because your goals and dreams -- are priceless! Life is NOT a dress rehearsal -- it's a live show! You owe it to yourself to put in your best possible performance. And to do this, you need to lose the bad habits. Period. Most people feel the ability to stop a bad habit... is a myth! You've tried to break your bad habits in the past and miserably -- failed! The idea that you can control your bad habits is a myth. Bad habits are impulses... so instead of controlling them, you often end up repeating them. Even though you recognize the stress they cause in your life... and even though you make promises to change your ways... again and again, you repeat the same tired habits (patterns)! That's because a habit, by definition, is an acquired pattern of behavior that has become almost involuntary as a result of frequent repetition, even if it is just being a workaholic! His teacher says, "Now you see the power of repeated actions… habits. It takes more than mere willpower and personal strength to break them. It takes a change in the way you think about the problem." They are self-inflicted punishments that drain you of motivation, time, and money. And they hold you back from living the great life you know you can achieve. "The diet starts Monday -- and I'll stick to it this time, I SWEAR!" 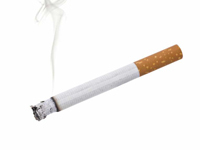 "Smoking is a nasty habit and is ruining my health. This will absolutely be my last cigarette pack." "That does it! I'm cutting up the credit cards once and for all and not wasting any more money on things I really don't need." The reality is most people try to break habits backwards; they try to physically change their behaviors before they've changed their mental ones. The result? You get so stressed out when denied the habit that has given you comfort in the past, you cannot help but cling to it and repeat it in the present. Losing bad habits requires you to change the way you think before you can change the way you act. Fortunately, there is a solution to breaking your bad habits! Lee is one of THE most highly esteemed and sought after human potential speakers and productivity coaches around -- on this page, I will take you step-by-step through her SYSTEM that will help you lose bad habits for good! BEFORE: This CEO's employees were habitually late and routinely left early. Many of them had persistent negative attitudes, mismanaged their time and were notorious procrastinators. AFTER: The employees overcame their negative self-programming -- allowing them to consistently arrive at work on time feeling refreshed and energized. With a new understanding of WHY they spent so much time procrastinating and HOW to stop, they became more productive and less stressed. BEFORE: This mother of four was a through-and-through people-pleaser. She always put others first, even to the detriment of her own well-being. And she dealt with the resultant stress by overeating and smoking. AFTER: Once she understood WHERE her bad habits came from and how to easily break them for the first time in her life, she was able to revitalize her self-image and improve her relationships with her husband and children. Not only that, but she was finally able to be the role model she wanted her children to see. This man quit his job, struck out on his own, and ended up earning 30% more... as a consultant at his former company! BEFORE: This 9-to-5er dreamed of working for himself, but he was paralyzed by his fear of striking out on his own and the risk of failure. Procrastination had become his closest companion. AFTER: He resurrected himself as the entrepreneur he had always longed to be. He quit his job, struck out on his own and was hired back by his former employer as a part-time consultant for 30% more than he made as a full-time employee! This entrepreneur increased his profits by working FEWER hours! BEFORE: This entrepreneur was working 60+ hours per week, spinning his wheels and becoming increasingly frustrated with his business and lack of a personal life. AFTER: After learning where he was going wrong, he cut his workweek down to three days, developed a laser-like focus on his goals, renewed the purpose of his business, and began spending more time with his family. His profits increased because he was now focused on being more creative and productive in a shorter period of time. Lee Milteer is one of America 's most highly-esteemed and sought after human potential speakers and productivity coaches. But don't be surprised if you've never heard of her before now! As the President of Lee Milteer Inc., Career Development Strategists, Lee is one of the corporate world's best kept secrets, having counseled and trained thousands of professionals all over North America and Europe. Organizations including Walt Disney... AT&T... XEROX... IBM... Ford Motor Co.... Federal Express... 3M... the US Navy... Bell Telephone... and many others, plus hundreds of government agencies and scores of convention and associations' meetings, repeatedly retain her to inspire people to recognize and use their own talents and potential. Lee has been featured as a regular guest on National TV and Radio shows, including: "The Sally Jesse Raphael Show," CNN's "Sonya Live," and "The Montel Williams Show," "The Dini Petty Show," and more! She has also written many books, including "Feel & Grow Rich," "Success Is An Inside Job:The Secrets of Getting Anything You Want," and "Spiritual Power Tools for Successful Selling." And as you might expect from someone with such a range of achievements, Lee's work has won MANY awards and tons of recognition, including a Doctorate in Motivational Theory from Commonwealth College, the "Rising Star Award" by General Cassette Corporation, and the Entrepreneurial Woman of the Year from the National Association of Women Business Owners! ... Previously kept under lock and key, for a select group of Lee's best clients! But let's just say I searched high and low for a solution... I was desperate to break it! I researched and researched -- online, in books, everywhere! I was almost ready to give up when I came across Lee Milteer's "Habit Busting Secrets: How to Break Any Habit in 21 Days." I couldn't believe I managed to get my hands on this! Here was all of the information I needed to get rid of my bad habits permanently in one easy-to-follow program. What makes this find even more amazing is that it's a program that was previously only available to members of Lee's Millionaire Mindset program, and it contains information that major corporations like Walt Disney... AT&T... XEROX... IBM... and others pay thousands of dollars to pass on to their employees and make their businesses stronger! How to Break Any Habit in 21 Days!" 3 Hours of Streaming Audio Training and a 52 page Action Plan Workbook! by the NEW CHANGES in YOU! Before you know it, your friends, family and colleagues will be scratching their heads in amazement. They'll marvel at how you were able to achieve so much in as little as 21 days! We know you'll find you may even surprise yourself! That's the impact that "Habit Busting Secrets: How to Break Any Habit in 21 Days" will have on your life. ... Replace negative habits with positive ones! In fact, thousands of others have already changed their habits and begun achieving what they knew they could (they were just being held back by those bad habits)! and most anyone who wants to stop an annoying habit! All of these people were able to transform the lives they had settled for into the lives they lived for. Be advised, this program is NOT for everyone! Now before we go any further, I do have to give you fair warning. This Streaming Audio Training Program and Action Plan are for people who are serious about taking control of their destinies again. ... then this program is NOT for you. If that's the case, please be honest with yourself and exit this site right now. Really, I am serious. If you are not open to real breakthroughs in your life, this is not the program for you. giving yourself a new lease of life REVEALED! You've heard how others have changed their lives through this program, and now it's YOUR turn. Stop the past from becoming -- the future! Take control of your life again and become the creative, solution-oriented person you know you can be! Earn the money you deserve and live the lifestyle you want! Be thrilled when you look in the mirror and be able to enjoy the admiration of the people around you! But I've kept the best news until last! Even though Lee Milteer travels the world giving seminars and speaking at huge corporations who pay thousands of dollars for her expertise..
"Habit Busting: How to Break Any Habit in 21 Days" downloadable program (in 3 hours of streaming audio training with an accompanying 52-page guidebook) -- for a limited period only -- for the discount price of only $47.00! 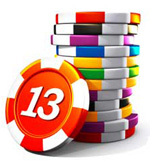 If this program doesn't allow you to bust your bad habits, I guarantee to give you a 100% refund! You have a choice in life. You can keep doing what you have been doing, which guarantees you will get what you have always gotten. Or you can do it differently and get all the things you've ever wanted. If that's what you want. If you want to put an end to the cycle, then give "Habit Busting Secrets: How to Break Any Habit in 21 Days" a try. Whatever your dilemma, this easy, stimulating program can help you overcome it -- GUARANTEED! I'm so confident of this that, when you purchase this program -- at the discounted price of $47.00 -- you also receive a 100% 30-day money-back guarantee! Yep, you read it right... 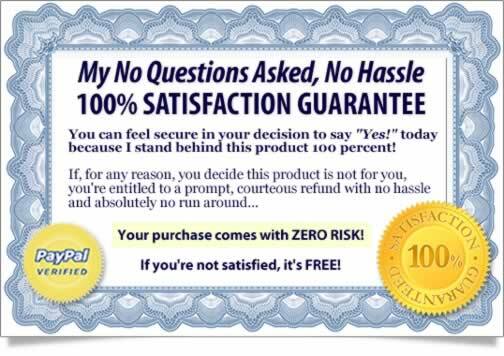 If you try this program and it doesn't work for you within 30 days, just send it back for a full refund of your investment. No hassles. No questions asked. And, if you buy now, I'll also give you a special bonus audio training of Lee's motivational "habit busting" coaching -- valued at $47 -- yours absolutely FREE! If you're ready to learn those secrets now, then give "Habit Busting: How to Break Any Habit in 21 Days" a try... risk-free! Do you want to look back on your life and realize you missed opportunities to get what you wanted because of old bad habits? Of course not! And it's not too late to learn the secrets of how your mind works, and to change your desires, behaviors, and goals. I guarantee that if you listen to this program for just 21 days, your life, attitude, perspective, and results will all improve to the point that others will ask you what is your secret! self-confidence, you are just 21 days away from that goal! get rid of those bad habits that control me! I'm ready to discover your secrets to dealing with my bad habits and getting rid of them once and for all! Yes, Richard! I'm ready to discover how to stop my bad habits and end their control over my life right now! I know following your expert instruction on how to deal with difficult and annoying bad habits is the simplest and quickest way to end the problems with bad habits wasting my time and causing me stress at work, in the home and with my relationships. I have seen the generous 60 day risk-free guarantee and want to try out the '"Habit Busting Secrets: How to Break Any Habit in 21 Days" to make sure it is for me. When I order today I will also receive the bonus downloadable audios which match "Habit Busting Secrets: How to Break Any Habit in 21 Days" for free! I only need to invest $47.00 and the '"Habit Busting Secrets: How to Break Any Habit in 21 Days" will be available to me with the bonus audios via immediate download. That's a very generous offer so on that basis here's my $47. All books are in PDF format and can be read on any computer. Here’s to your new found freedom from your bad habits! P.S. Remember, for a limited period only, you can buy "Habit Busting Secrets: How to Break Any Habit in 21 Days" at a special discount price of just $47.00! P.P.S. Want more proof? We've compiled 14 additional stories from average people who have transformed their lives from the techniques learned through Lee Milteer's Habit Busting Program. Still not sure if this could work for you? Read EVEN More stories from people who have successfully used this program to end their bad habits once and for all! "Lee Milteer is the teacher who has changed my life and improved my attitude." "Thank you for changing my life and giving my life back to me! You were wonderful. As an entrepreneur I was working too hard, had poor time management, trying to be all things to all people and overweight with a BAD attitude. My wife bought your program for me and I was shocked at how I had let myself get into this state of overwork and how I had been taking my frustration out on my kids and wife. Since I started your program, I have improved my relationships with my family, clients, and myself. I now have a lifestyle that supports me in a prosperous way. All I can say to anyone who is trying to decide if your Habit Busting system will work for them is this: Give yourself the gift of releasing the past and starting a brand new future. Lee Milteer is the teacher who has changed my life and improved my attitude. It was a small investment for a large return! Thank you with all my heart!" "This type of material should have been offered to everyone in the school system." "How can I express my gratitude for the information you shared in your wonderful program Habit Busting? Truly a virtuoso performance! This type of material should have been offered to everyone in the school system. I had lots of bad habits and bad attitudes. Once I started listening to your program, I could not get over how EASY it was to change. All the diets and self-improvement programs I have used in the past had a limited effect on me. Your system helped me go back to the root of my problems and helped me for the very first time understand exactly why I had failed in all my attempts before. It's shocking how easy it has been for me to change my life and change my future with your information. 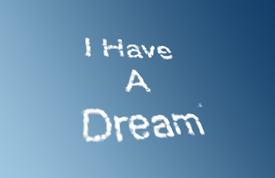 I have learned that nothing can stop me from the exciting future I want for myself and my family. You are a blessing from God. Thank you." "I have changed my habits from negative ones to positive ones and my family thinks I am a new person." "I could not be happier! I have lost 10 pounds already and only have a few more to go. I have changed my habits from negative ones to positive ones and my family thinks I am a new person. I was very pleased with the depth of your knowledge and your wonderful humor. I totally recommend this program to any woman who wants to FEEL empowered and in charge of her life again!!" "Lee, you received the highest evaluations of anyone's programs we have ever used in our office." "Lee, you received the highest evaluations of anyone's programs we have ever used in our office. One of the programs that really hit home was yourHabit Busting: How to Break Any Habit in 21 Days. At first people laughed and said no one could change bad habits in 21 days. Yet, people in our office who took your program home and used it proved them wrong. They did break the old habits and transferred those old behaviors into new ones. Our office staff just voted you the #1 person they wanted to come speak to us in-person next year. Again, Thank you for your educational, informative, life changing materials." "I suggest any woman who is feeling overwhelmed invest in this program because it will change your life!" "Habit Busting has helped me stop being a perfectionist and working myself to death. Thanks to this incredible program I have given myself permission to stop trying to please everyone and for once in my life start living for me. Lee Milteer is a great coach and I have many other programs she has produced and I love them all. She has given me the tools to become the woman I wanted to be but did not know how until now. I suggest any woman who is feeling overwhelmed invest in this program because it will change your life!" "The techniques have helped me in all aspects of my life"
"I used your habit busting system many years ago to program myself to become confident that I could pass the CPA exam and I've never forgotten the principles you taught. The techniques have helped me in all aspects of my life, from moving past the fear of passing my exam to losing 23 pounds and starting an exercise program that I now love. And I must say I have a pretty good life now thanks to the wisdom I learned from you about not working so hard to achieve your goals but to use your mind first." "Lee Milteer's Habit Busting stimulates new possibilities instantly!" 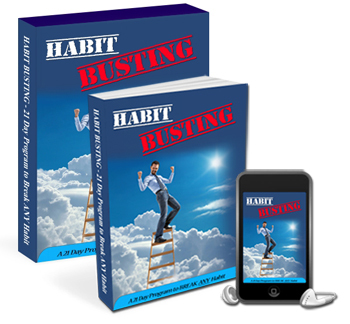 "Lee Milteer's Habit Busting stimulates new possibilities instantly! I loved it and recommend it to anyone who wants to feel good about themselves, improve their self-esteem and get rid of any bad habit. I personally have stopped overeating at night from depression or boredom. I have started a walking program in the morning, which has helped me lose the extra weight that I have been trying to lose for five years. My friends and family have all noticed a huge change for the better in my personality. Thank you!" "We have a Lee Milteer Fan club here and we wanted to thank you for all your wisdom that makes our lives so much easier." "Your habit busting program is splendid! I own a Real Estate company and we realtors had developed some very bad habits such as being late, putting off paperwork, and not being organized. Since we purchased your system for our staff, we have received nothing but very enthusiastic responses from our members. I get a "thank you" almost every day from the people who have now taken back their lives and feel in control again. Some of our people started a weight loss club and have lost more than 104 pounds combined in just a few months. We have a Lee Milteer Fan club here and we wanted to thank you for all your wisdom that makes our lives so much easier." "I have lost 34 pounds, and learned to put my health and needs first." "Talk about feeling motivated again! I invested in Lee Milteer's Habit Busting System and I am truly excited about life again. I have learned to stop saying yes when I want to say no. How liberating it has been to learn to nurture myself and give myself permission to be whom and what I want to be. I have stopped being a people pleaser, lost 34 pounds, and learned to put my health and needs first. God bless Lee Milteer and God bless this program. It's inspiring and contains more truth on living a successful life than any other program I have ever had. I just love listening to Lee every morning as I drive to work." Nancy Myers, Washington , D.C.
"I had tried willpower, and everything else to become organized and nothing had assisted me till I found and used Lee's program." "Lee Milteer's Habit Busting System allowed me to come away with useable solutions and strategies on how to break my old negative habits and turn that same energy into positive habits. I had tried willpower, and everything else to become organized and nothing had assisted me till I found and used Lee's program. My office, house and car were beyond out of control to the point I did not want anyone to see them. This Habit Busting system assisted me in finding out why I could not get the energy to be an organized person. I was a perfectionist! As Lee says, give up that label and change your life forever.This came true for me. I have shared this program with my daughters and each of them has become a better mother, wife and businessperson because of Lee Milteer's teaching. I would recommend this program to anyone who feels frustrated with their past behaviors and wants to be free of the past. This was so much easier than I ever thought and I so wish I could have invested in this program years ago. Thank you!!" "We have noticed, since your program, a twenty-five percent increase in sales volume." "Thank you for your program on Habit Busting. My sales staff has really lost marketing shares in our territory due to bad working habits, poor time management, poor organizational skills, procrastination and other profit-losing habits. You had a pretty tough audience with us and you did an excellent job for our sales force helping them move past their old programming and creating a new plan of action. As you know, the competition in New York City is fierce but habit busting was very helpful. Our sales people need all the self-esteem help they can get. We have noticed, since your program, a twenty-five percent increase in sales volume." "I LOVED the Habit Busting system... I have finally found ways to reprogram myself to be calm and in control." "I LOVED the Habit Busting system! I could not recommend this program any more highly! Anyone can learn from this program because it generates energy, enthusiasm and positive feelings for yourself and gives you the confidence to try anything and know you can be successful. I personally am pleased to report that after many years of having a really bad temper, which hurt my personal relationships and business, I have finally found ways to reprogram myself to be calm and in control. I have seen an improvement in my mental state of mind and that led to a promotion and raise at work. All I can do is say THANK YOU for this information that allows us to truly be in charge of our destinies again." "This is the only program that has actually given me the tools, motivation and a system to root out what was causing me to have bad habits." "After listening to Lee on the HABIT BUSTING program, I was able to see my job, my life and myself in a different light. I have been challenged to 'seize' the personal and professional opportunities that are available to me and take advantage of them. I have released the need to act on several negative habits such as overspending, mismanagement of time, and the most important one of all. I quit smoking! This is the only program that has actually given me the tools, motivation and a system to root out what was causing me to have bad habits. I am proud to say that you gave me the "tomorrow Awareness of my behaviors" and that changed my life forever." "I have now lost 82 pounds and I have 18 more to go to get to my 100-pound goal. Keep up the wonderful work!" "I just loved your habit busting program. Your content was informative, enlightening, humorous, and done in an enthusiastic manner. I enjoyed learning about how to move past the Scarlett O'Hara mentality and understand why I use my habits to reduce my stress. I now understand that instant gratification has risks and that I do have the power to have the discipline to control my life. I have now lost 82 pounds and I have 18 more to go to get to my 100-pound goal. If I can do this program and make it work where no other diet programs have worked for me -- anyone can do it. Keep up the wonderful work!" Join the hundreds who have given "Habit Busting: How to Break Any Habit in 21 Days"
I don't care who you are or what you do for a living. Whether you're slogging your way through a mountain of debt, or raking in a whopping six-figure income, or want to lose the weight you hate... this program can help you. No matter what your goal, whether it's to lose 100 lbs., triple your income, become a leader in your field, stop smoking, quit biting your nails, or have more self-confidence, you are just 21 days away from that goal. You get started with the program in just minutes from now!